The pear is mentioned in the Talmud (see Löw, "Aramäische Pflanzennamen," p. 152). It does not seem to have been extensively cultivated. 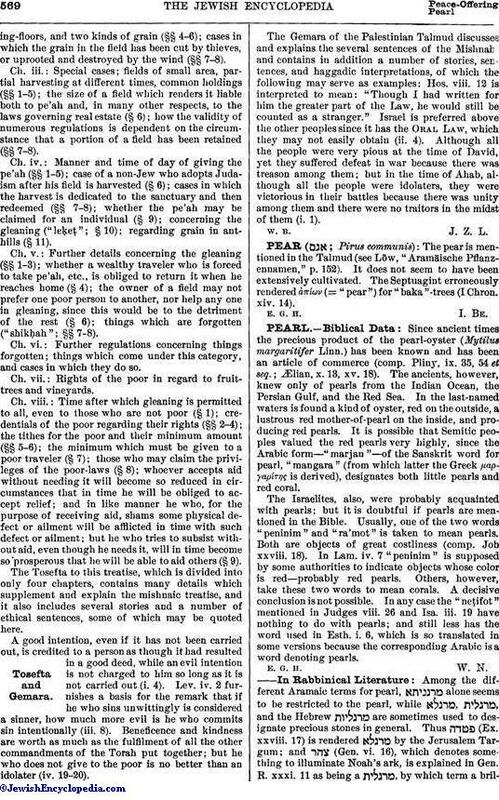 The Septuagint erroneously rendered απίον (= "pear") for "baka"-trees (I Chron. xiv. 14).